I’m doing something different this year. I’m using my experience as a professional organizer and someone who spends a lot of time outdoors to encourage and facilitate exploration – of who we are and our place on this planet, toward personal and professional growth. This exploration will take place outside the home and has so much to do with organizing your life. In addition to organizing people’s homes, I am organizing events and outdoor activities that you are welcome to join! No prior experience is necessary, simply be ready to become a dynamic creator of your life’s exciting story. Stay connected with me through my newsletter and on social media (Facebook and Instagram) to be notified of these events. 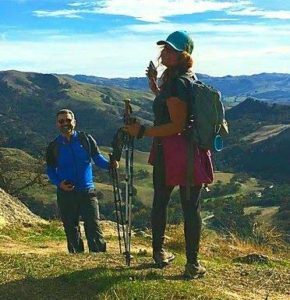 This is a chance to get off your phone and out of the house to walk, hike, bike, kayak, camp, wine taste, try new restaurants, and explore a variety of experiences with me and locals who are doing fun and dynamic things in the San Francisco Bay Area. It is an opportunity to make new friends and connections, be inspired, network, have fun, get exercise and sunshine, and give yourself a change of scenery. Sounds good, right? If you are pondering “Fitness” or other life-changing resolutions for the year, the offer to join me and others with similar goals is right here. The events will be completely organized, and you only need to show up! Step outside with me and let’s explore a wild and beautiful world of experiences, not things. Invite friends to participate, and together we’ll create new experiences in 2019.